Is the restriction on free use of ATMs fair? A day before this announcement by the PM, the Reserve Bank of India (RBI) announced certain changes to the ATM facility offered to bank customers and the charges levied for withdrawals through ATMs with effect from 1 November, 2014. What are the changes introduced by RBI for ATM withdrawals? 1. 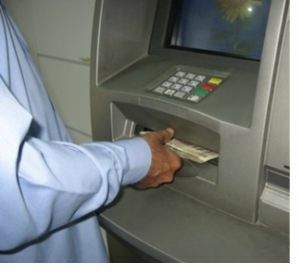 At present every ATM card holder could withdraw cash from the same bank’s ATM any number of times free of all charges. For example, if you have an account with State Bank of India (SBI), you could withdraw cash or do any other non-cash transactions from ATMs of SBI any number of times in a month with out any charges. 2. Secondly, at present, you can transact or withdraw cash from other banks’ ATMs also, but only five times a month without any charges. For withdrawals beyond five times in a month, you are being charged Rs.20/- plus service tax for every such withdrawal. 3. These rules are applicable even for non-financial transactions, like using the ATMs forbalance enquiry and seeking details of last five transactions in your account. In short, usage, for any purpose, of ATMs of your own bank where you maintain your account is totally free, but you can use other banks’ ATMs also for maximum of five times in a month without any charges. Posted on August 26, 2014 Categories BankingLeave a comment on Is the restriction on free use of ATMs fair? District Courts Go Online, Maharashtra Experience Indian Judiciary has played a major role for nation building and also contributed in mobilizing the society to deliver its best to the Nation. In the past few years Litigation has risen in large number and it has become exceedingly difficult to manage it manually. Services Offered to the Citizens The system is operational at at all District Courts, and is in the process of horizontal replication in other courts of Maharashtra. Benefits to the society, Litigants, Lawyers and Judicial Administration are mentioned in the Project Description. The Case Information System is accepted by Maharashtra Judiciary.Implementation of CIS is successfully completed at all the 365 locations of Maharashtra. Use of Open Source Technology have saved huge amount (around 17.5 Crores) to the exchequer. CERC has taken up a project to study consumer perceptions and buying behaviour with regard to organic foods (grown without using synthetic pesticides and fertiliser), advocate relevant food laws and regulations for them, including proper labelling, and raise consumer awareness about quality and safety issues. This survey is part of the project and will provide valuable insight into consumer behavior regarding organic food within the Indian context. In India, organic foods are marked with the \’India Organic\’ certification mark issued by certification agencies accredited under the National Programme for Organic Production (NPOP). Most of the organic food companies in India voluntarily opt for this certification, though it is not mandatory for domestic sales. Due to lack of effective quality standards and rules on labelling and certification of organic foods, the Indian market is flooded with uncertified products. May we request your cooperation in this study. Kindly send your responses to the questions in the link (https://www.surveymonkey.com/s/V8NKGDN). We will be happy to have your views, comments, and suggestions even beyond the questions listed by us. Your responses will help us understand the current scenario and influence the recommendations made to Ministry regarding safety and certification of organic foods. As the survey has to be completed in a very short time, may we please expect your response at the earliest, preferably by 30 August 2014. CERC appreciates your time and cooperation. Your feedback will be very valuable for proposing effective regulations for organic foods. The IMC’s Capital Market Committee has organised a seminar on ‘Investment Management and Investor Grievance Redressal’ on 20th August from 5.00 pm at Walchand Hirachand Hall IMC, Mumbai, Mumbai. This seminar will focus on two important issues i.e. Investment Management and Investor Grievance Redressal issues. Any investment decision requires professional investment management advise, asset allocation at various securities shares, bonds and other securities/assets in order to meet specified investment goals for the benefit of the investors. Investors may be institutions insurance companies, pension funds, corporations etc. or private investors. It is always advisable to seek guidance from professional Investment Management that helps you understand and control risks. This session will be addressed by Mr. Mehrab Irani, General Manager – Investments, Tata Investment Corporation Limited. Investors come to the markets to make money on their investments. However due to carelessness and lack of knowledge get into various problems wherein their capita gets stuck due to systemic problems. Mrs. Deena Mehta will speak on precautions to be taken for keeping your investments secure. Mrs. Mehta will also guide you on legal remedies available within the securities market frame work for addressing various queries. Mr. T. Pandian, Registrar of Companies (ROC) will also share the session and guide investors on steps taken by ROC to protect the interest of investors. We bring to you the August issue of our monthly e-magazine, Consumer Alert. We were happy to have the Ministry of Consumer Affairs officials visit CERC in late June and express their support for our organisation. This time, our product Test Report is on Packaged Soup which may not be as healthy as claimed to be. In Tips we tell you how to save at restaurants. We bring you a feature called Behind the Brands that tells you how the company that makes your favourite brand fares on social and environmental issues. We await your valuable feedback. Do write in mentioning the city you reside in.